New Kaffe Fassett On Point Collection Has Arrived at Heathcote & Ivory! The NEW On Point Collection from visionary textiles designer, Kaffe Fassett, captures his colourful world in a new and exciting way. the capsule collection explores his geometric designs and floral patterns through the contemplative craft of needlepoint. The fragrance imagines the mellow warmth of wood smoke, soft leather and the finest yarns, threaded through with soft amber, earthy patchouli and soothing sandalwood. made in England. Free from Parabens & Sulfates. New Sanderson Range Has Arrived at Heathcote & Ivory! Sanderson Archive Collection with four stunning iconic wallpaper designs. Iconic designs from the Sanderson archives presented as a home interiors fragrance collection. Sanderson wallpaper selected from the most important design trends of their eras now with unique fine fragrances, inspired by their creative backgrounds. Sanderson Rose & Peony 1927, Sanderson Chelsea 1960, Sanderson Sorilla 1964 & Sanderson Stapleton Park 1986. See Heathcote & Ivory's wide range of travel essentials including travel wallets, mini hand creams, cosmetic bags and much more. And for a Limited Time Only save 15% OFF your orders!!!! 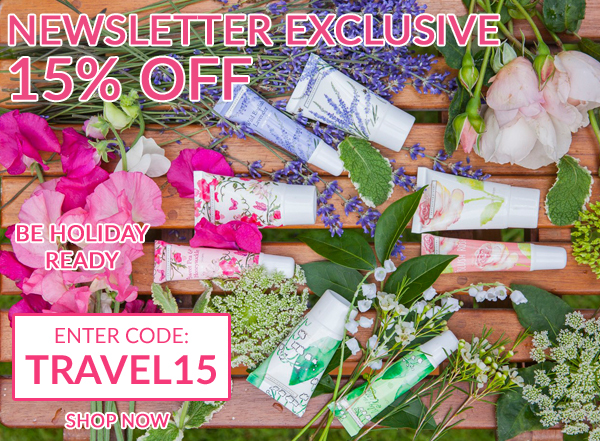 Simply enter discount code TRAVEL15 in the shopping basket to receive the discount. *Cannot be used in conjunction with other promotions. Ends 31ST August 2016. New Harlequin Design Range Has Arrived at Heathcote & Ivory! The colourful Papilio design is a vibrant portrayal of botanically drawn butterflies in a lustrous colour palette. Fragranced with notes of cassis and bergamot balanced with lily of the valley and rose on an amber and sandalwood base. The sophisticated Savanna design is a stately procession of matching elephants. Fragranced with ocean fresh notes of lemon and bergamot blended with jasmine and geranium on a musk and amber base. For a limited time only! Save an EXTRA 10% OFF SALE items at Heathcote & Ivory. Choose sale items from our brands like Cath Kidston Flora Hyacinth, Cath Kidston Flora Geranium or even from the Accessorize just to name a few. 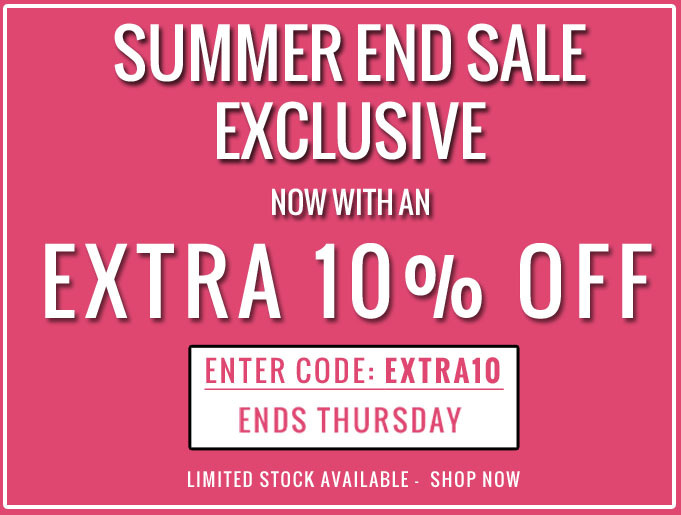 Simply enter discount code EXTRA10 in the shopping basket to receive the discount. *Cannot be used in conjunction with other promotions. Ends 3th July 2016. FREE Rainforest Explorer's Journal with all orders £20 or over at Heathcote & Ivory. Indulge in luxury and experience a world of the exotic and mysterious at home with this bath & body gift set. Simply enter discount code DIYSPA in the shopping basket to take advantage. *Code cannot be used on sale items and can not be used in conjunction with other promotions. Ends 31st April. Our Easter Special Offer is now on at Heathcote & Ivory. 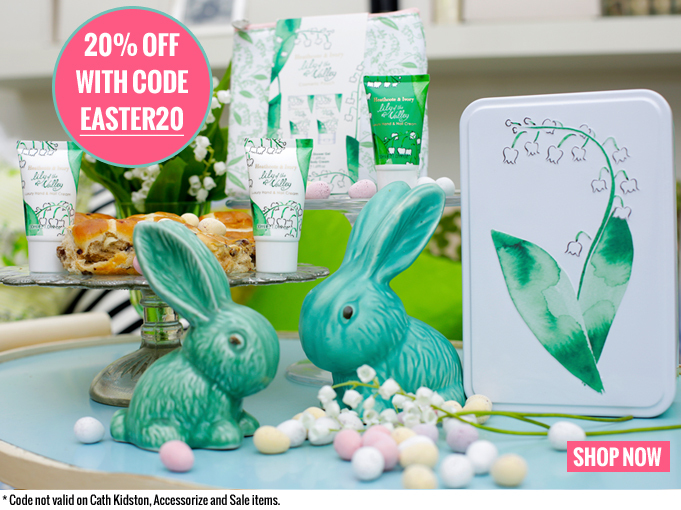 20% off everything on site for Easter weekend only*. Simply enter discount code EASTER20 in the shopping basket to take advantage. *Offer excludes Cath Kidston, Accessorize and sale items. Code cannot be used in conjunction with other promotions. Ends 31st March. 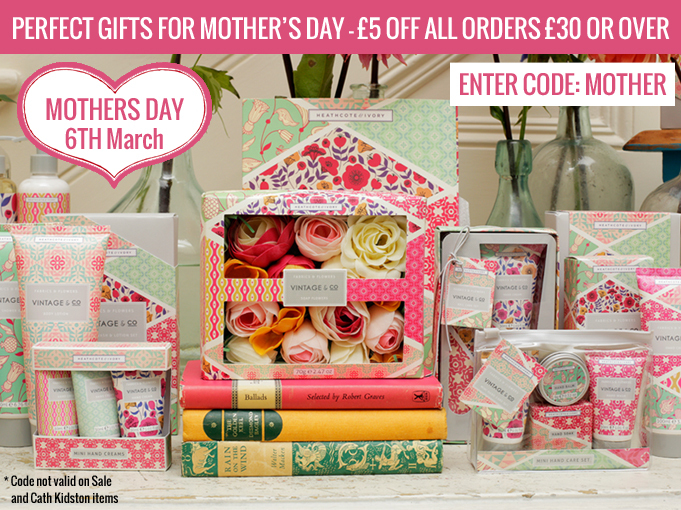 An Exclusive Offer for Mother's Day! This year spoil mum with luxury gifts from Heathcote & Ivory, whether it’s our gorgeous Bathing Flowers you pick or a Cup Cake Bath Melts from our new Blush Rose range, we’re sure you will find something special to give to mum this year. Save £5 on all orders £30 or over with code MOTHER. *Offer not valid on Sales and Cath Kidtson Items. Valentine's Day Offer! Give your loved one a treat from our Valentine's Day Gift Collection. Also for a limited time only receive a FREE Heart-Shaped Soap in Tin on all orders £20 or over. Simply enter code HEART at checkout. Offer not valid on Sale items. WINTER SALE! Enjoy 50% off on selected lines at Heathcote & Ivory. Treat yourself this Winter with these great delights in our sale range. New to this mid-season sale are the arrivals of from the Rainforest range as well as a few best sellers from the Gardeners range. Plus keep a look out as new items will be added in daily. Stock it very limited so don't wait and buy now - When they're gone they're gone! JUST ARRIVED! 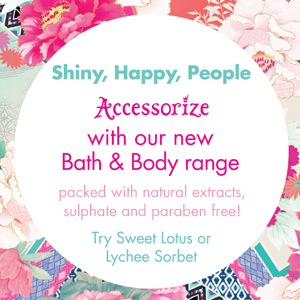 The new bath and body range from Accessorize is fun, quirky and colourful. Beauty designed with travel in mind, packaged in tins, bags and with handy carabiners. Sweet Lotus is fragranced with zen-like seductive notes and Lychee Sorbet with mouth wateringly fruity notes. Both fragrances are blended with natural extracts of coconut, olive and argan oil with shea butter, beeswax, vitamin E and cocoa butter. Cleanse, moisturise and Accessorize. Natural extracts, no sulphates or parabens. SURPRISE! 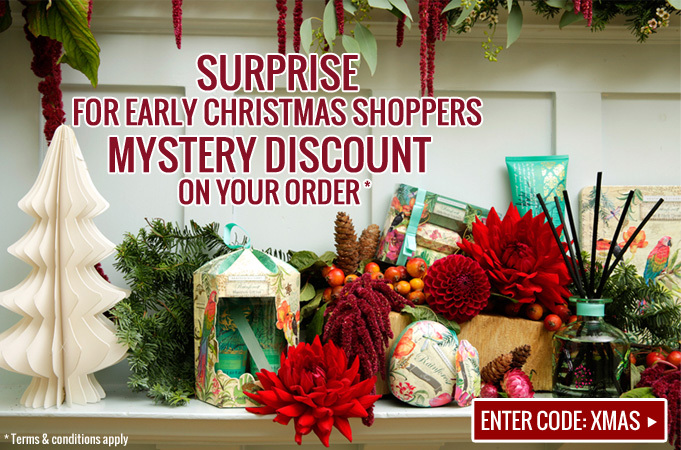 Early Christmas shoppers can enjoy a mystery discount when shopping at Heathcote & Ivory. Enter discount code: XMAS at checkout to take advantage (ends: 18/11/15). There's a host of new Christmas gifts on site now, including our new Vintage & Co Patterns & Petals and Vintage & Co Fabric & Flowers collections. MID-SEASON SALE! Enjoy 50% off on selected lines at Heathcote & Ivory. Treat yourself this Autumn with these great delights in our sale range. New to this mid-season sale are the arrivals of from the Secret Paradise range as well as a few best sellers from the Morris & Co. range. Plus keep a look out as new items will be added in daily. *Cannot be used in conjunction with other promotions. Ends 10th Sept 2015. Celebrate the launch of our new Autumn / Winter 2015 fragrances. 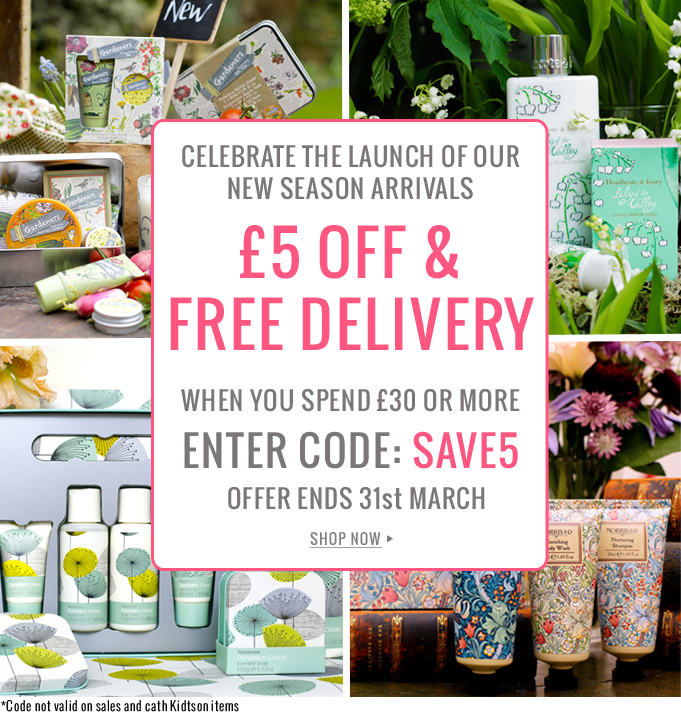 For a limited time only enjoy £5 off when they spend £30 or more* at Heathcote & Ivory with Free delivery. Choose from our brand new AW2015 ranges - Rainforest and Vintage & Co. as well as from our new additions to the Gardeners, Morris & Co. Fruits and Floral Mixed Collection ranges. Simply enter discount code SAVE5 in the shopping basket to receive the discount. *Excludes sale items and offer cannot be used in conjunction with other promotions. Ends 31st Aug 2015. Let The Summer Fun Continue! For a limited time only receive a FREE mystery gift when you spend just £20 or more* at Heathcote & Ivory. 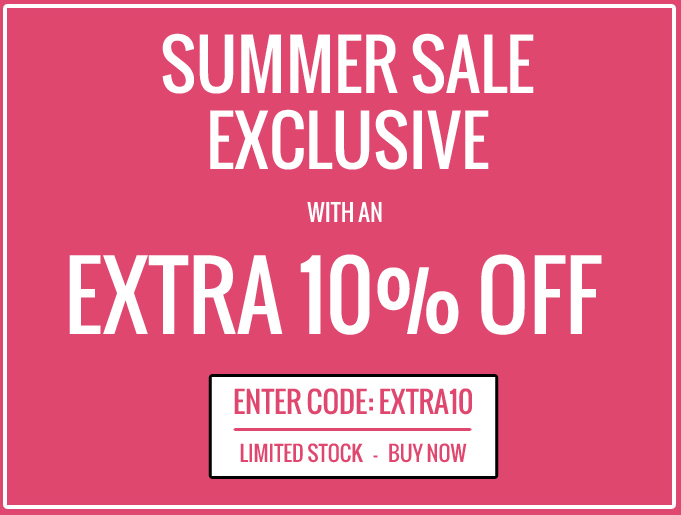 Simply enter discount code SUMMER in the shopping basket to take advantage. *Excludes sale items and offer cannot be used in conjunction with other promotions. Ends 16th Aug 2015. 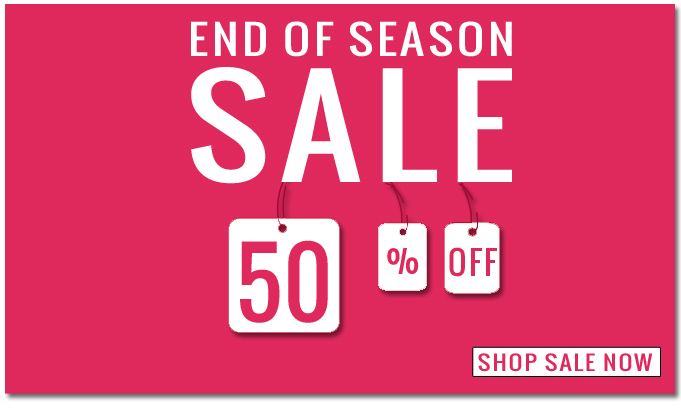 END OF SPRING SEASON SALE! Enjoy 50% off on selected lines at Heathcote & Ivory. 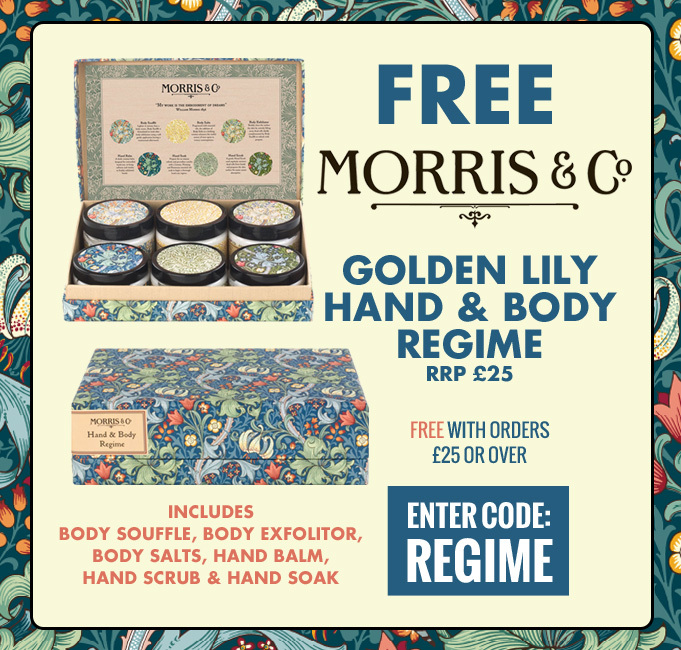 For the first time ever we have now introduced the Vintage range to our sale, so be sure to grab your favourites from the Vintage Rose range and the Vintage Mimosa & Pomegranate range. Stock it very limited so don't wait and buy now - When they're gone they're gone! MID-SEASON SALE! Enjoy 50% off on selected lines at Heathcote & Ivory. Treat yourself this spring with these great delights in our sale range. Enjoy 20% off everything on site* at Heathcote & Ivory. 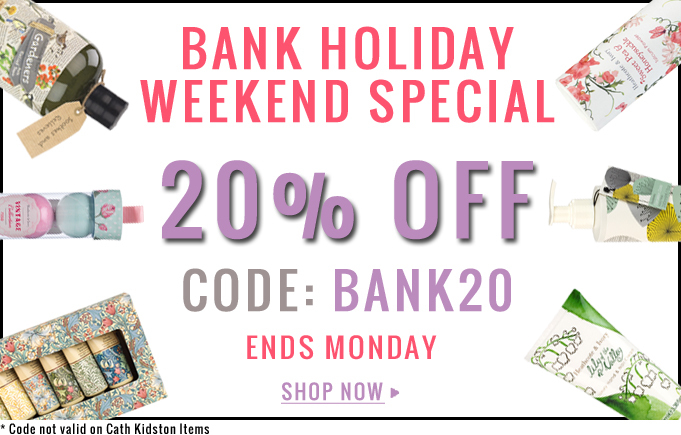 Simply enter discount code BANK20 in the shopping basket to take advantage. Make the most of this exclusive offer by enjoying money off from our newest ranges, including the Lily of the Valley and the Kaffe Fassett collection. 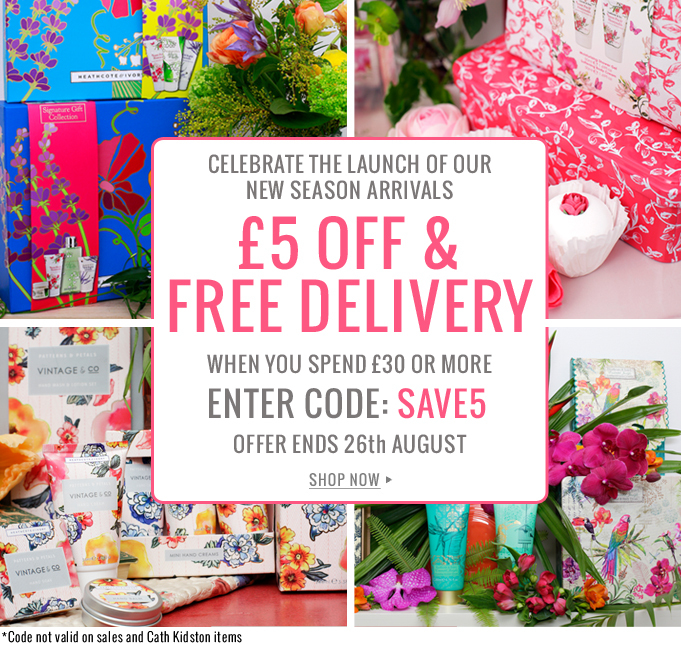 *Excludes Cath Kidston products and offer cannot be used in conjunction with other promotions. Ends 4th May 2015. Cath Kidston Exclusive! 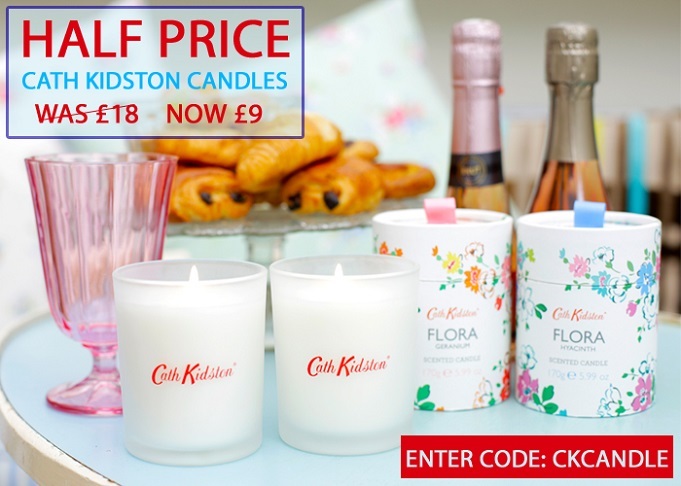 HALF PRICE on Cath Kidston Candles*. Simply enter promo code CKCANDLE in the shopping basket to take advantage. Fill the air with elegant scent of Hyacinth or Geranium. Individual burn time: Approx. 33 hours. 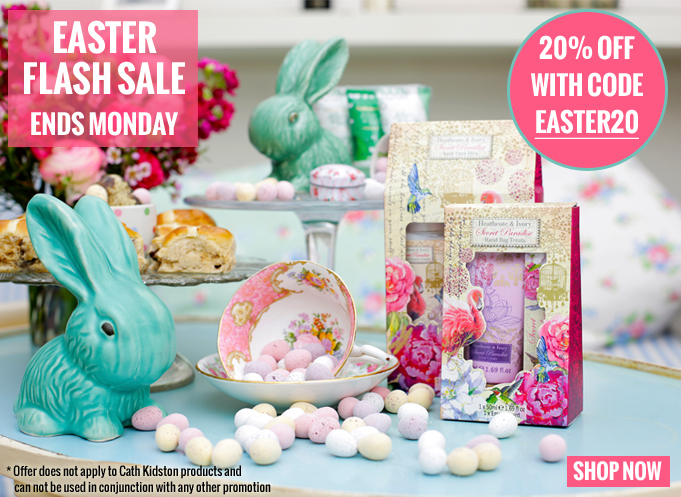 *Offer valid for Cath Kidtson candles (when purchased at Heathcote & Ivory) and cannot be used in conjunction with other promotions. Ends 30th April. Kaffe Fassett is one of the world’s greatest practitioners of contemporary design. His passion for colour, his fascination with texture and his love of flowers have all found expression in an extraordinary body of work that includes textile design, knitwear, needlepoint, rugs, garden design, mosaics, ceramics and painting. 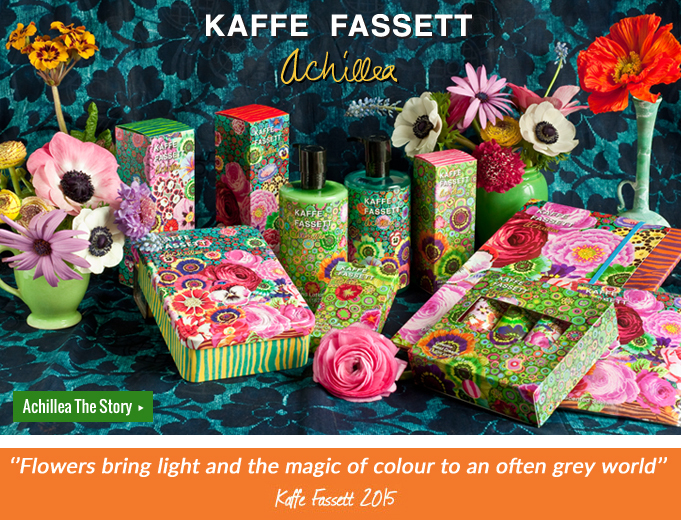 Experience the alchemy where, for the first time, Kaffe Fassett design is interpreted through scent and nature’s science. Knitting together the uplifting notes of Bergamot, Orange Blossom, Musk and Oleander creates a new colourful canvas. Easter Flash Sale now on at Heathcote & Ivory. 20% off everything on site for Easter weekend only*. Simply enter discount code EASTER20 in the shopping basket to take advantage. *Offer excludes Cath Kidston, sale items and cannot be used in conjunction with other promotions. Ends 7th April. 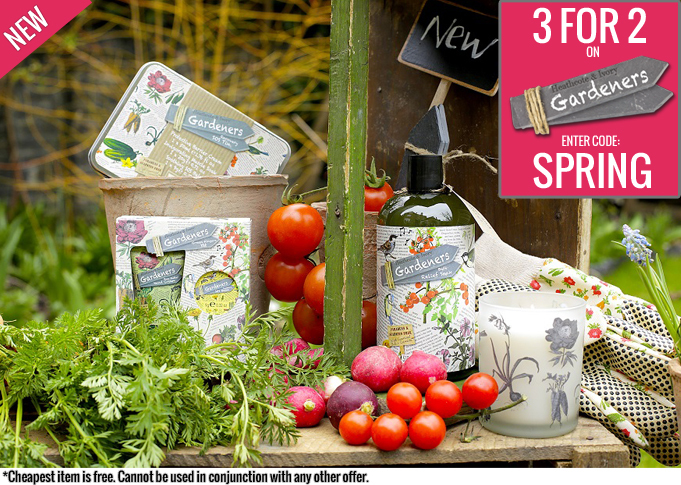 To celebrate the green shoots of early spring, we're offering our green-fingered customers 3 for 2 on our Gardeners collection* at Heathcote & Ivory. Simply add 3 items from the collection into your shopping basket to receive your discount. English green-fingered gardeners, vitamin-rich vegetable patches and dependable potting sheds have inspired our own home-grown Gardeners collection of creams to nourish and protect dry hard-working hands, featuring juicy notes of red tomatoes and red currants combined with the green freshness of basil and mint on a base of cedarwood and earthy musk. *Cheapest item is free. Cannot be used with other promotions. Ends 4th April. Celebrate the launch of our new Spring / Summer 2015 fragrances. For a limited time only enjoy £5 off when they spend £30 or more* at Heathcote & Ivory with free delivery. Choose from our brand new SS2015 range Lily Of The Valley as well as from our new additions to the Gardeners, Morris & Co. and Sanderson Dandelion Clocks ranges. 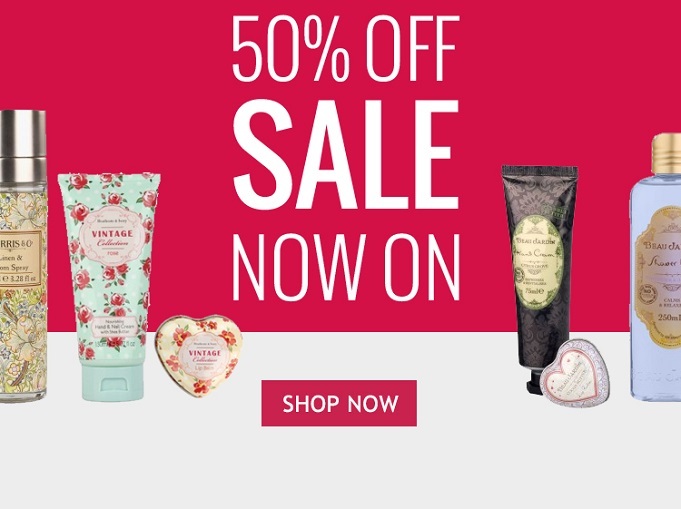 *Excludes sale items and cannot be used with Cath Kidston products or other promotions. Ends 31st March.